It’s summer and that means my family is preparing for a week-long road trip we take each year to relax, unwind, and visit parts of the country we have yet to experience. As part of the planning, we all gather around a table with a map, chart a course, discuss the pros and cons of the route, and the places we want to visit, as well as our budget, time constraints, and other resource-based concerns like fuel, food, and lodging. In doing this, we’re able to ensure the easiest, most pleasurable experience for the whole family, as well as troubleshoot any potential issues that may arise as we complete our journey. What does road trip preparation have to do with the automotive supply chain? Well, the ability to create stable and efficient planned production programs to meet customer demand in a timely manner is not unlike planning my family’s trip. Particularly in short and mid-term planning, OEMs have to account for the ability to receive orders, allocate resources and production sites, ensure inventory, and meet delivery timetables, all based on a number of rules and restraints in the production cycle. Job shop scheduling solutions, much like the map my family uses to create our route, allow planners and managers to plot out parameters for optimized production programs ahead of time to combat bottlenecks and disruptions and ensure lean, efficient production cycles for on-time delivery. Because job shop scheduling provides a holistic view of program planning, OEMs can deploy strategic, transparent, and agile production schemes that provide enhanced transparency across each touch point of the value chain. Before we discuss the concrete benefits of job shop scheduling, let’s first examine how such software provides planners and managers with such heightened levels of end-to-end visibility across all points of the production cycle. The goal with both short and mid-term planning is the optimization of orders as they move through an often complex production environment. Rules, restraints, part availabilities, and production facility capacities can be altered at any point during planned production programs and often take place with very little notice or advanced warning. Planning of this sort, even in today’s digital manufacturing landscape, is still often completed in Excel or manually entered in comparable programs, which provides very little in the way of centralized data sharing and often results in functional silos across a company’s various touch points. In addition, because of the rigidity of such planning platforms, inquires from customers about potential delivery dates or production capacities are addressed based solely on past production programs and not on current situations or capacities - in short, planners and managers lack the real-time ability to examine current production capabilities or create predictive models to create accurate delivery timetables. However, much like the map of my upcoming road trip, job shop scheduling provides planners with a concrete path for efficient, accurate planning via: the creation of orders; the mapping of the associated machine, employee, material, and tool-structure; and the optimization of workflows for each job. This insight then allows for accurate forecasting of when customer orders can filled and, which orders, if any may need modification to meet delivery schedules and avoid disruptions. This creates planning stability and allows OEMs to operate a more lean supply network based on efficiency and cost-effect production. One of the most overarching benefits of job shop scheduling is it empower planners and managers to more precisely control their production plans - the visibility and insight into the larger production and supply stream allows OEMs to harness and execute greater power over their supply logistics to engender a more function, responsive relationship between production and customer relations. To achieve this balance, here are 4 specific ways job shop scheduling is a value proposition for OEMs looking to leverage optimized, enhanced planning strategies. Stable planning and production - Job shop scheduling creates an optimized, buildable and reproducible production program under consideration of resources, personnel, material and tool availability. In turn, this allows planners and managers enhanced insight into potential bottlenecks and disruptions with enough time and maneuverability within the supply stream to combat said disruptions by adjusting planned production programs and timetables. What-If capabilities. 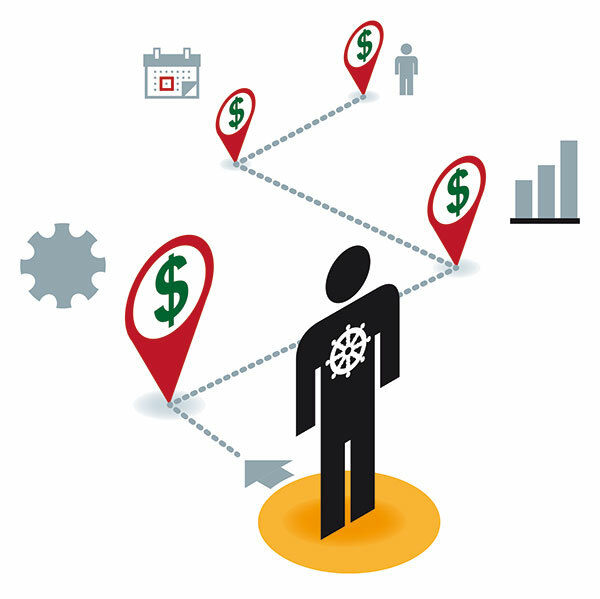 The ease of data maintenance and sharing within a job shop scheduling solution allows OEMs to compare different job allocation scenarios based on actual orders or customer inquiries to make informed, productivity-based decisions on how jobs should be allocated and the resources necessary to complete those jobs. Synergy with other solutions. Production planning doesn’t operate in a vacuum - nor does job shop scheduling. The flexibility of such a solution allows for easy, convenient integration with existing planning solutions to create synergy throughout the overall supply stream - in conjunction with the latest in intelligent planning such as Industry 4.0 and The Internet of Things. This synergy is a key driver in promoting a fully optimized production network capable of reacting and responding to small and large-scale disruptions. Real-time production feedback. The capability to provide alerts, error messages, and other notifications in modifications to rules and restraints in production programs is critical to on-time delivery and maintaining manufacturing schedules. Job shop scheduling provides such notifications to planners and managers in real-time to foster more informed production decisions for increased value and productivity. You wouldn’t set out on a long journey without some kind of map or plan to make the trip as easy and successful as possible. By the same token, planners and managers should not set out planned production programs in the short and mid-term without the tools to successfully facilitate a transparent, agile, and visible production scheme. Job shop scheduling allows planners to achieve these production cycle standards to leverage a more efficient and cost-effective supply network.